A fellow cyclist recently raised this junction with me as they were concerned that the detection wires under the tarmac on the Coronation Road side of the junction may not be picking up approaching cycles. Oddly a similar thought had crossed my mind a while back as I had an encounter with these traffic lights where they did not change to green when I expected them to. I had all but forgotten about this incident but when approached it came back to mind. 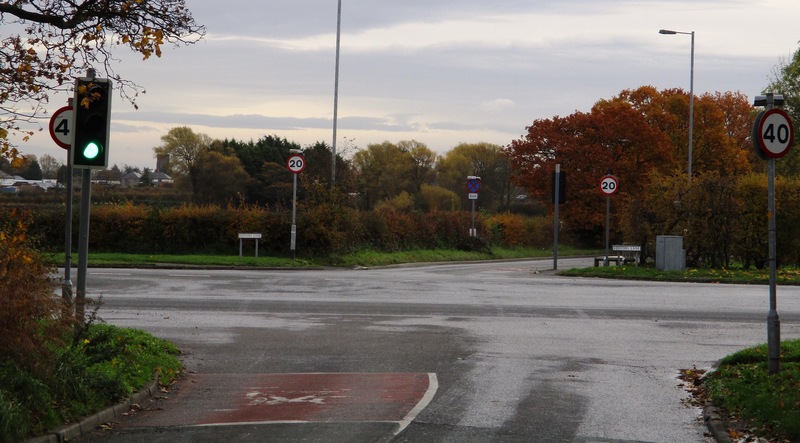 The resident has raised their concerns with Sefton Council Highway Dept. and shared the exchanges with me. It seems that if a cycle is ridden too close to the edge of the road the bike may not be recognised and the advice is that cyclists use the middle of the eastbound carriageway when approaching the lights as this should lead to a bike being detected. So now you cyclists know but let me know if problems persist. Sefton Highways tell us that the advice given in the links above has been endorsed by Chris Boardman who’s currently working alongside Transport for Greater Manchester to improve Cycling Safety Standards.